Visit adamlaxalt.com and stevesisolak.com to volunteer. Other candidates include Jarod Lord (Libertarian), Russell Best (Independent American Party), and Ryan Bundy (Independent). Due to limited space, we can only include responses from candidates polling 15%, but encourage you to check out their websites. To download a printable pdf version of this guide, click here. Laxalt – Has signed onto lawsuits to significantly limit. Said would “look into” repealing NV abortion rights law, though later reversed this statement. Sisolak – Legal. Reproductive decisions should be between a woman and her doctor. Climate Change: Consider climate change a critical threat? Should government limit the levels of greenhouse gases in the atmosphere to combat climate change? Sisolak – Yes. “Climate change is real and poses a direct threat to our environment and communities.” Work as a state to uphold Paris Climate Agreement & Clean Power Plan. Sisolak – No. Led protest in front of Senator Heller’s office opposing nomination. Criminal Justice: Ease cash bail requirements to reduce incarceration? Sisolak – Yes, though for more minor offences. Laxalt – Vows not to reduce funding; will look at budget on possible increase. Sisolak – Restore funding to at least pre-recession levels. Shift money from hotel tax and marijuana tax toward schools. Education: Provide support to parents to send their children to private schools with public money? Gay Marriage: Support gay marriage and related issues? Laxalt – In 2014 said would have defended Nevada gay marriage ban. Joined suit defending religious right of florist to not create arrangement for gay couple. Sisolak – Yes. Strong gay rights supporter, endorsed by major gay rights groups. Gun Control: Support more restrictive gun control legislation? Restrict semi-automatic assault weapons? Laxalt – No. “Increasing restrictions on law-abiding citizens’ access to firearms is not effective in reducing gun violence.” Opposed expanded background checks, open to banning bump stocks. 100% NRA rating. 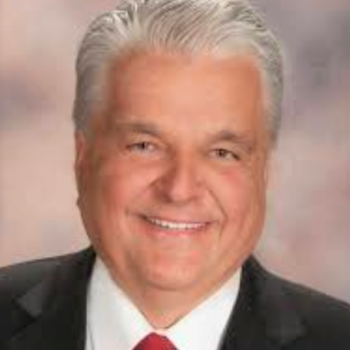 Sisolak – Formerly opposed, now supports enforcing background checks, banning silencers, bump stocks, and assault weapons. NRA rating was 79% in 2012, now 7%. Healthcare: Support or Repeal ACA, aka Obamacare? Continue to accept Nevada’s ACA’s Medicaid expansion to subsidize low-income participants? Add Medicaid work requirements? Laxalt – Called ACA “the most flawed piece of major legislation America has ever endured.” Will consider Medicaid work requirements. Wouldn’t have expanded Medicaid but won’t roll it back. Laxalt – Unclear. Investigated Planned Parenthood to confirm it didn’t do surgical abortions, but public funding is for federal government to decide. Sisolak – Yes. Ran ad saying that as a single father relied on Planned Parenthood to get his daughters health screenings and information. Housing: How to address affordable housing crisis? Laxalt – Oppose spending state taxpayer dollars, but would make it easier for developers to build new housing. Sisolak – Adjust affordable housing incentives. Include density bonuses, fee reductions and expedited permitting process. Laxalt – Unclear. In 2015, joined lawsuit challenging expansion to cover parents of DACA kids, though didn’t join anti-DACA suit. Labor Issues: What should companies be required to provide? Laxalt – Joined suit opposing Obama’s stricter overtime rules. No position found on sick leave. Sisolak – Require companies with 25 or more employees to provide paid sick time, although challenged firefighters for abusing sick leave. Marijuana: Should marijuana be decriminialized at federal level? Laxalt – “An issue for our federal representatives to address.” The only Attorney General in a state with legalization not to ask feds to ease related banking prohibitions. Minimum Wage: Raise the NV minimum wage? Laxalt – Unclear. Didn’t join suit to preserve it. Sisolak – Yes. NV should join lawsuit to preserve. President Trump: Support for President’s policies? Laxalt – Honored to have his support. Renewable Energy: Support Question 6, the initiative requiring utilities to provide 50% of energy from renewables by 2030? Taxes: Position on state taxes, including commerce tax levy on businesses making $4 million or more a year. 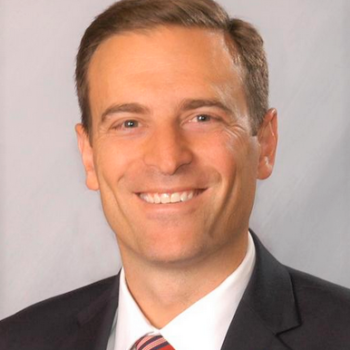 Laxalt – “Will be committed to not raising taxes on anybody.” End the commerce tax. Sisolak – Commerce tax was “very brave step,” so preserve it. Explore increasing property tax caps to pay for education.